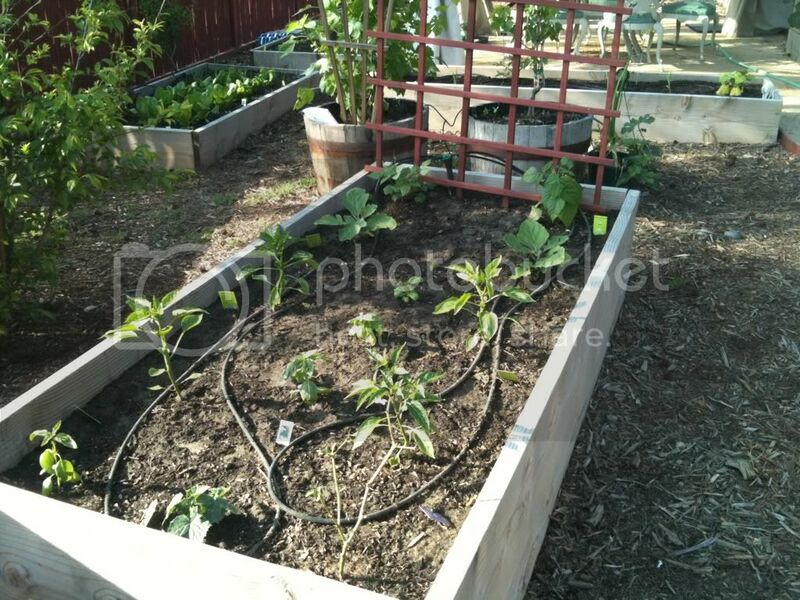 I am going to start showing my progress of my garden this year. Started planting about two and a half weeks ago. Feel free to give me input on my setup. This bed in the foreground is squash! !-spaghetti on the right yellow crookneck in the middle and zukes on the left. Some peppers in the front with two eggplants and two beans a gold and green bean and a blue lake pole. There is also a salad bush cuke in the very middle foreground. A little basil in here as well. Will this work together? I guess we will have to wait and see. This is some lettuce romaine, Bibb, and red romaine... Onions, garlic, and a couple shallots mixed in. Can someone tell me a good way to keep he sparrows from munching on my lettuce? Here I have my spinach in the foreground. Bright lights chard and arugula in the back. With some cilantro and basil as well. Here I have my strawberries on the right side. Some dill in the middle parsley, orange mint,and Stevia on the left side. Here I have aunt ginnys purple heirloom tomato in the front, beefmaster, san Diego tomato, and butternut in the back. 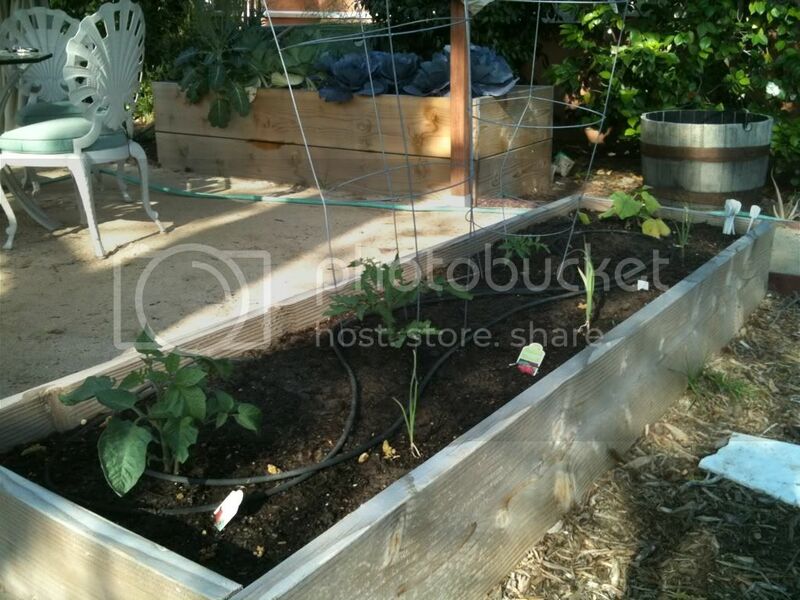 A few garlic planted in front of the tomatoes. 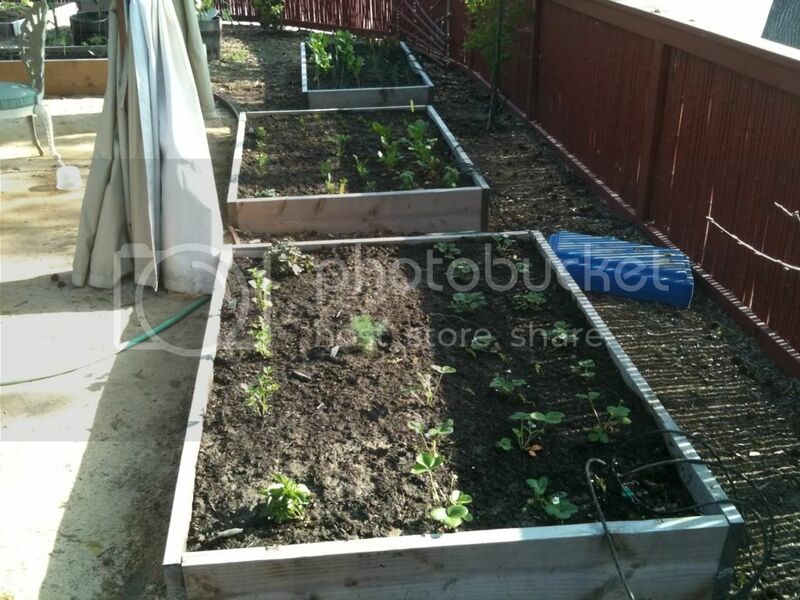 Very nice raised beds. Thanks for the nice pictures! 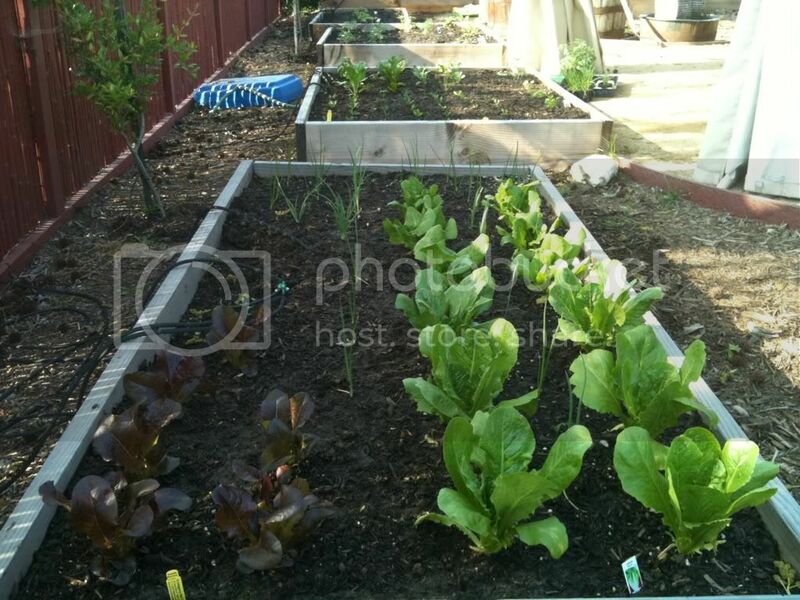 To stop the birds get some screens and raise then a foot above the lettuce beds. Another thing that really works even better is thin wood slats above the bed like a shad house. 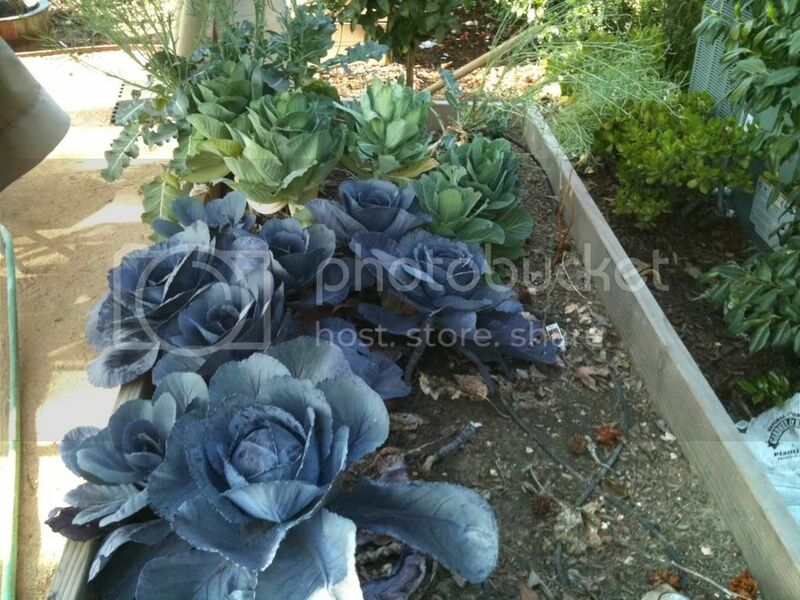 The shade will alow you lettuce to keep longer without going to seed! just buy one of the 4 by 8 wood slat lattice sheets or two of the 2 by 8 latice and raise it a foot above the bed. Works great! It will even help with heavy rains and the birds and cats! Thanks bobberman. I am going to try the lattice above the lettuce. I plan on just getting the plants to the desired size to eat then replace with something else. GREENTEAM wrote: This is some lettuce romaine, Bibb, and red romaine... Onions, garlic, and a couple shallots mixed in. Can someone tell me a good way to keep he sparrows from munching on my lettuce? 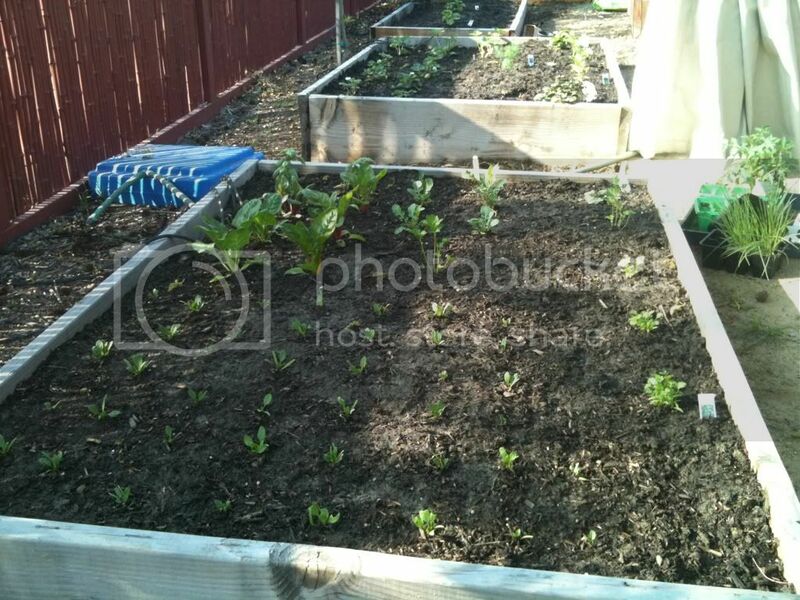 Just put some small pegs in the corners of the beds and in the middle and set the lattice on the top of the peg a foot above the bed and in the heavy heat the lettuce will be really tender and last longer! If your beds are three feet wide you may be able to angle the lattice and form a triangle over the bed! Should I move the alliums or will they tolerate the shade? GREENTEAM wrote: Should I move the alliums or will they tolerate the shade? There will be plenty of sun for them! Old screens work great also! Been juicing cabbage daily. Feels amazing when the juice enters your bloodstream. I made the mistake of drinking too much and the sulphur content interrupted my stomach. But I still feel supercharged. What's best? 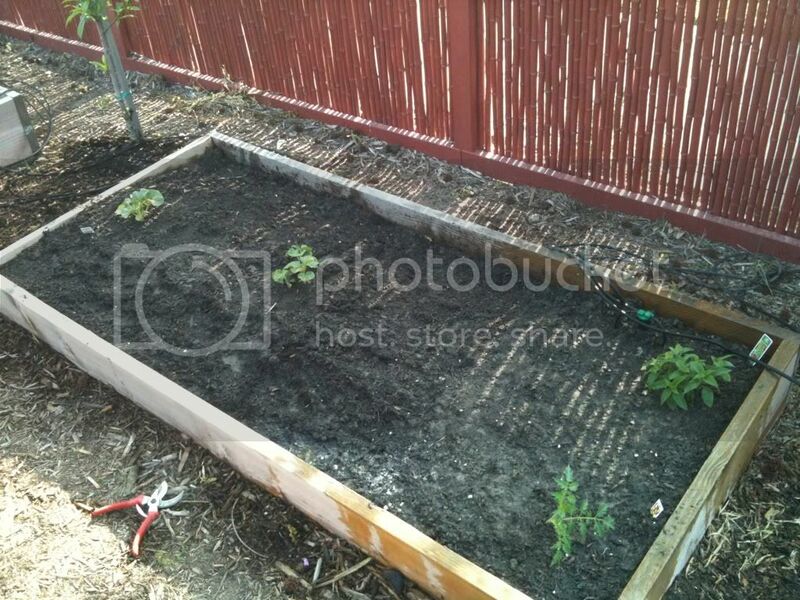 Raised bed or non-raised bed garden? 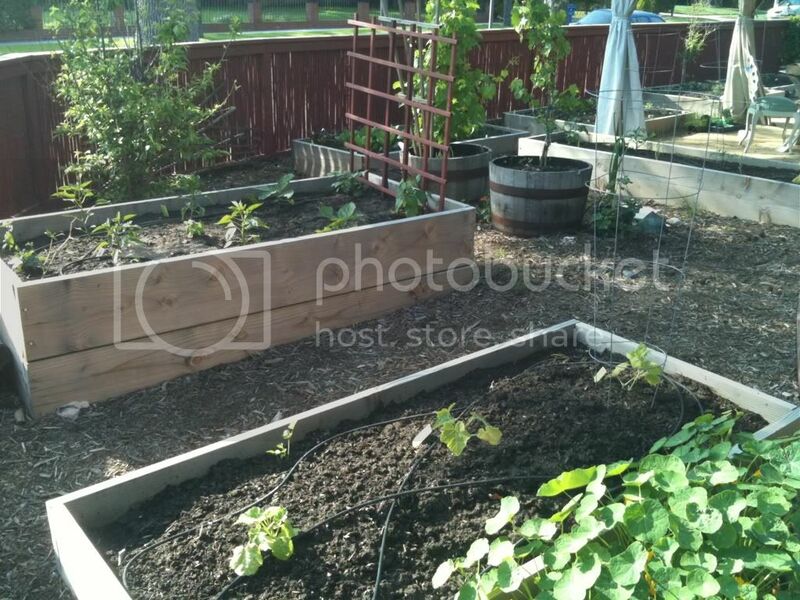 Why a raised garden bed instead of pots?